Call (480) 994-4411 for a Free Consultation, with no obligation.
" I wasn't sure about Dr. Dan when I first came to him. I had never heard of Low-Force, Applied Kinesiology Based Technique, called Koren Specific Technique (KST). But he sat down with me and my sister for an hour and explained what KST is. A week later, I pulled a muscle in my shoulder so badly that I needed to be on pain medication and a muscle relaxer. My sister and I desperately searched for a chiropractor or massage therapist to help relax my muscles and ease the pain. Remembering our meeting with Dr. Dan, we put in an early morning call to him, desperate for relief. He said to come right in to his office! While there, he applied Low-Force, Applied Kinesiology Based Techniques therapy to my pain, and 2 hours later, the pain was GONE! And it stayed GONE! I had repeatedly injured my shoulder muscles in the past, and nothing would completely relieve the pain. In fact, I had to return for 2 or more massages and chiropractic adjustments at a traditional chiropractic office I had been using. I also had to wear a sling and take muscle relaxers for several days afterward. Not this time. After only one-half day of taking meds, and receiving Dr. Dan's treatment, I was back to normal and completely pain-free!!!! I am so grateful! Dr. Dan has a true gift. A true gift! Thank you, Dr. Dan! " I wanted to thank you for all you have done for me. I cannot put into words how appreciative I am. The thing is-you are not only helping me-you are helping my family (C----, J----, E----- & J----). The one time I will always remember is when I had the scare with the lump. I walked into your office so scared and the care and concern you gave was so much more than expected. I walked out feeling reassured that no matter what happened everything was going to be okay. You assured me that there were doctors out there to help. As far as migraines go, I can say when they do come on, they are a lot less intense than what they used to be. I can also say I am off all meds. I take none to prevent migraines or to abort them either. I got so frustrated with the cost and them messing with my metabolism. I started weaning myself not too long after talking to you about them. So far, so good. Like I said in the card a few months ago, time is not an issue for you. I still feel guilty about keeping you from your wife and daughter in the evenings. I guess I own them a thank-you too. Again, words cannot express my appreciation to you. I recommend people to you all the time and will continue to do so." I hope I can convey in words just how much you've done for me and how much you mean to me. After being in constant, never-ending pain for more years than I can remember, I am thrilled to say I no longer have the constant pain between my shoulder blades, and even better---my neck no longer feels like it has hot, steel rods going up each side from my shoulders. I continue to use the foam wedges and the stretches you taught me. Before I came to you, I was taking 3-4 ibuprofen every night before bed to help reduce some of the pain so I could sleep, and then I would only get 2-3 hours consecutively a night. I no longer need the ibuprofen and I get a better night's sleep. I had dealt with almost daily headaches for more than 30 years, they were just a normal part of my day…and everyone knew they could get ibuprofen or aspirin from me, I always had it with be because of the headaches. I only had a couple headaches since I started to see you, and that's been over a year now. I also thank you for increasing my overall health knowledge. It was such a treat for me to have a doctor discuss health and nutrition from a non-medical position. But, maybe what is even more wonderful for me, is our shared spiritual beliefs…so, I thank you for sharing that part of yourself with me, and for introducing me to some wonderful people. " "Dr. Dan" Secrest is a true healer on all levels. He encourages me to seek a higher level of truth in my healing, teaching me to believe that healing begins with me, my willingness to heal with my body and mind. I came to Dr. Dan, referred by a friend who I saw hunched over with a cane, then suddenly walking around with great posture and no pain. The friend had the same problem I had, a herniated disc. I had just received my second epidural shot and was still in severe pain. My medical doctor recommended surgery, which wasn't acceptable to me. I decided to visit a few other chiropractic practices that offered traction treatment. Then, I found Dr. Dan. At half the cost and closer to my home, I decided to commit to a course of treatment with him. I was out of pain in 2 weeks. Dr. Dan educates along the way, explaining x-ray results, by showing you on film exactly what's going on, why it's happening, how he's going to heal it with my help, and comparing it to other x-rays of healed spines and necks. Treatment with Dr. Dan is a two person deal. I agreed to show up for all appointments and follow the home exercise program he customized for me. His part of the deal is to treat me with respect, provide expert treatment, and listen to my symptoms (and sometimes personal problems), all with humor, great compassion and concern. I am now, three months later, well on my way to recovery. My latest x-rays show a 50% improvement!!! It took my body 50 years to become the condition it is now. I found this amount of improvement over just 3 months to be absolutely amazing. I wholeheartedly recommend Dr. Dan for your spinal care needs. " "Dr. Daniel Secrest has changed my life! This is not a statement made off-handedly, but one with sincere sentiment.I met Dr. Dan through a personal referral. I was told that this doctor might be able to help relieve the physical pain I was experiencing. I have recently been diagnosed with rheumatoid arthritis and have been in pain every day since. I felt as though my life had been interrupted at a young age. From the first three appointments with Dr. Secrest, I knew I would be in good hands. He not only assessed my immediate pain, but he was able to relieve my feelings of anxiety about possibly being in pain for the rest of my life. He put me on a plan of treatments, home exercises and nutrition. This combination is working wonderfully! Then, Dr. Secrest went beyond the norm. He was sensitive enough to see that my emotions were in need of care also. He was able to guide me in a direction that helped with this and, in turn, also assisted with my physical healing. Dr. Daniel Secrest is a powerful resource and I would highly recommend him for your health care needs. My jaw was not only 'popping' every time I would chew, but it would slip out of position every time I tried to speak. Luckily I noticed treatment for TMJ listed on Dr Dan's website while showing it to a friend. I had no idea Dr Dan would be able to help with this, but an ENT Dr could not see me for weeks - so I went in to see if Dr Dan could help until I could get to the ENT Dr. After ONE visit with Dr Dan, my jaw is holding steady back in place! I am able to eat without the constant popping, dislocating, and cautious chewing. For years, I had vision issues and migraines. Physical therapy, meruologist and chiropractors using traditional methods could offer no relief or improvement. The Low-Force, Applied Kinesiology Based Technique, called Koren Specific Technique (KST) utilized by Dr. Dan has stabilized my vision and eliminated by migraines. Dr. Dan Secrest is a gifted and caring healer. I am thankful that I found him." I started going to Secrest Family Chiropractic when nothing else worked to relieve my back aches and migraines, as a last resort, since no other doctor could help. Within a few treatments, my immobilizing migraines were few and far between, my back stopped aching, and my posture improved. Dr. Dan is a miracle worker!!! Because of him and his practice, my quality of life has dramatically improved since I am no longer bed ridden due to headaches and migraines." A no-nonesense approach to better health. Relatively painless methodology with long lasting results. Dr Dan makes time for you, and does not keep you in the waiting room." Dr. Secrest is by far one of the best Chiropractors I've seen. Dr. Secrest is NOT the type who will insist on seeing patients 3-4 times per week endlessly just to make money on the visits. He is truly in tune with a person's body and how the body reacts to his treatments. I've had my share of experiences with Chiropractors who's adjustments actually made the problems worse. I was able to see major improvement in two weeks! He utilizes a more holistic approach in his practice. He truly cares about his patients." ...will adjust my body as long as I live in this state! I've never been to a chiropractor and didn't trust anyone to do that sort of treatment. However, after going through an initial exam with my husband, and seeing how he treated him, I came to trust Dr. Dan and his adjustments. He is professional, has your best interests in mind, and strives to learn new techniques and philosophies to offer the best care possible. Dr. Dan is the only one for my chiropractic care." "Dr. Dan fixed my knee that needed to be braced for over 5 years. Just 2 comfortable treatments and I have been able to walk, lift and carry my grandchildren without any pain, braces or meds. Thank you, Dr. Dan"
I've been going to Secrest Family Chiropractic for about 3 years now. When I first found him, I could barely stand up straight from pain. He was very kind and thorough. I've had history w/ chiro's in the past...long history of back issues... but Dr. Dan took x-rays and explained everything patiently. I learned more in 1 hr w/ him than a decade with 4 other chiropractors. Dr. Dan is very intuitive and he has proven himself to me and my family 10 fold. I highly recommend him to all my family friends and clients!" Dr Dan is a very gifted doctor. I am recovering from a failed back surgery and 25 years of chronic daily migraines. 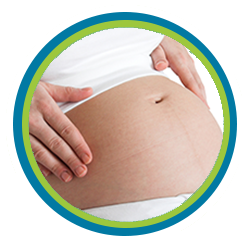 When I first came in to Dr. Dan, I felt stiff, extremely painful, and out of alignment. I feel so relieved that Dr. Dan is able to actually take away my pain. The migraine that I had that day was very bad, and after my first treatment, my headache was 80% gone. After only a few treatments, I feel more energetic, much less painful, and able to even care for my sick sister, which before would have been very difficult. Dr. Dan is a lifesaver and is in tune with my needs." After years of trying different Chiropractors who claimed they knew what they were doing, I have found that Dr. Dan helps so much that I can live life comfortably with out pain, Thank you Dr. Dan"
See for yourself... Dr. Dan is the man." My son, Ryan, recommended Dr. Dan for my shoulder blade pain, after he helped him with his TMJ and got good results. I was pleased to get relief and for a low cost. Also, I was very pleased with the entire staff and the wealth of healthy information they provided. It's refreshing to see someone who has morals and ethics and a genuine caring for his patients well being. Dr. Dan is a caring, thoughtful, hard-working professional who is always willing to spend time to deal with his patients' pain. The special Koren Specific Technique which he usually uses worked wonders for my chronic shoulder and neck pain and now, with regular follow-ups, I am often more or less free of pain. 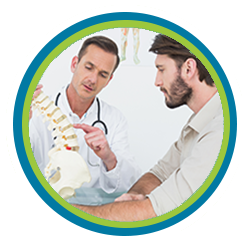 I had seen other chiropractors in the past who used a more traditional approach, but nothing came close to the relief I get from Dr. Dan's treatments." "Pain Relief in 15 Minutes! How do you thank someone who (in a matter of 15 min.) can relieve pain that I've been carrying for 6 days now? Dr. Dan, I can't thank you enough!!!" Dr Dan and his staff are the best people in town. His experience, care, knowledge, willingness to see you at any time and following up on your injuries just makes the whole healing process even better! Thank you!!" I have been seeing Dr. Dan off and on for a few years. After each visit I experience HUGE relief from my back and knee pain. He has helped me eliminate my horrible snoring problem and I have more energy than ever. I have been very happy with all the treatment I have received- he is kind, patience and never rushes. I really feel he listens to me and tries to help figure out why and where I hurt and then provides treatment. I would recommend him to anyone. He has also adjusted both my young boys who are sports nuts and they LOVE him! They are always asking to go see Dr. Dan." Dr Dan did a great job of trying to understand all aspects which were causing my pain. After being to my old chiropractor, my regular doctor and a pain specialist for TMJ, he was able to finally bring me some pain relief. He told me about 70% of my pain would be gone in 4 visits. After the first two I was already feeling a great improvement. It made me wish I did not wait so long to see him to take care of it. I have since referred my family to see him, and they have good reviews for him as well!" Dr. Dan is the most gentle, kind, and family-friendly chiropractor I've ever had the pleasure of seeing. He is very tuned-in to each individual's needs, and always gives me the best treatment. The last time I went in, my back was killing me - I had done too much yard work, too hard, too fast. After two adjustments, I have been able to return to my yard, with absolutely no pain! The massage therapists are also terrific! They worked out knots in my back I didn't even know I had. He has helped my autistic son in many ways as well, through adjustments, and in the advise he has given my family to help us treat his autism. We know he has helped us recover our son." I was skeptical about chiropractic treatment, but now I am a firm believer. The TMJ as affecting everything I did. I cannot thank you enough for your help. Sincerely, Julie D. Scottsdale-Radio Talk Host"
I am a practicing Chiropractor in the Tempe area with experience within the profession for over a decade. I had the privilege to meet Dr. Dan and I discovered him because of his use of a very specific adjusting technique that is revolutionary within our profession of healing. With questions in my head, I went searching and Dr. Dan not only had an answer for my questions, but offered to examine my spine and check me for subluxations. His examination of my spine was "jaw dropping" because it felt like he was reading my mind and the results that I received from just one adjustment were miraculous. He is a very caring man with the ability to deliver an adjustment suitable for newborns through the very elderly and all in between. Because of these outrageous results and his personality, I have chosen to call him my Chiropractor. Thanks, Doc! I appreciate your passion and service to mankind." Please let me take just a moment to let you know how much I appreciate your treatments. Prior to your care, I had been on major pain killers, such as morphine, methadone, fentanyl and tramadol. Thanks to you, I am pain-medication free. An aspirin now and then is all I ever use. You helped me off the meds and I truly thank you! I have had 23 epidural shots, 2 major back surgeries and only now-through your care-have I been almost pain free. I wish I had met you first. Thank you for being there…for everything! You are now my doctor, so let's schedule therapy time. You are gifted and a blessing in my life. "Dr. Dan is very unique in this day and age. He truly cares about the health and welfare of his patients. He is willing to listen and spend time treating his patients. Due to his care, I have been able to continue playing golf at my young-again age. Dr. Dan is the best!" I had headaches, neck and back pain when Dr. Dan was recommended to me. I am extremely grateful to her as he has helped me in every area. I am able to function normally, work out at a gym regularly and keep very active - all thanks to Dr. Dan. I would recommend him to anyone! Unsolicited review from Kudzu.com website"
Dr. Dan at Secrest Chiropractic is one of the nicest people I've ever met. He genuinely cares about your overall health and how chiropractic care can help. He takes the time to explain to you what's going on with your spine and the process he will go through to improve it. He does his best to fit you in when it's convenient for you and has very reasonable fees. If you're looking for a chiropractor, I would definitely make an appointment with him!" "I want to thank you, Dr. Secrest, four your generosity and willingness to take care of me the other week. It definitely helped and I found it very interesting how you adjusted me. I'm glad we were able to meet and I appreciate all of your advice. You seem to be a great doctor who truly cares about his patients and I admire that. Thanks again." Call (480) 994-4411 -- then create your success story!